You could just “wing it” when doing outbound sales or you could use some sort of prospecting guide. There are some distinct and noticeable benefits using the latter. When watching the evening news, you will notice that notice that the news anchor typically sounds knowledgeable and polished. Before every broadcast, they script out what they are going to say word for word. Also, they have the script in front of them in a teleprompter. Having this guide and being prepared plays a role in them sounding good when they are communicating. This same logic can be applied to outbound sales as we can simply say and ask what comes to our mind or we can prepare by using a guide. We take a giant step forward in the way we sound and the level of impression that we make by using a prospecting guide which can have a significant impact on our sales results. 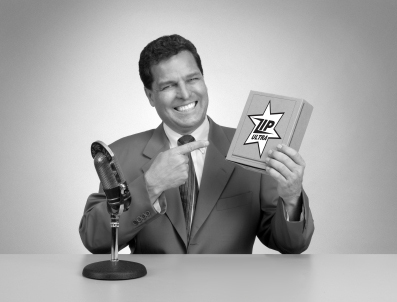 A level of stress and anxiety often comes along with sales prospecting. 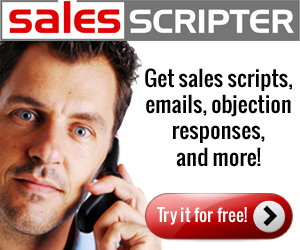 There is pressure to deliver results and a tremendous amount of rejection that we may face. We can decrease both stress and anxiety by being much more prepared when using a guide for prospecting. There may be a decent amount of uncertainty with what to do, what to say, what to ask, how to respond, etc when calling on prospects. Using a guide helps to solve these questions which brings more clarity to the process and helps with the mental aspects involved. 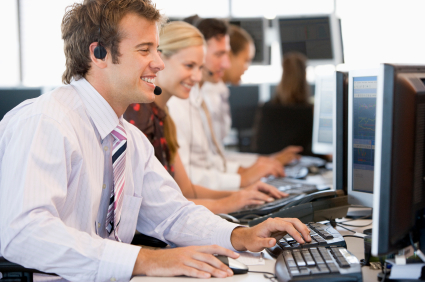 A negative impact on activity levels of calls made is a result of not using a guide. 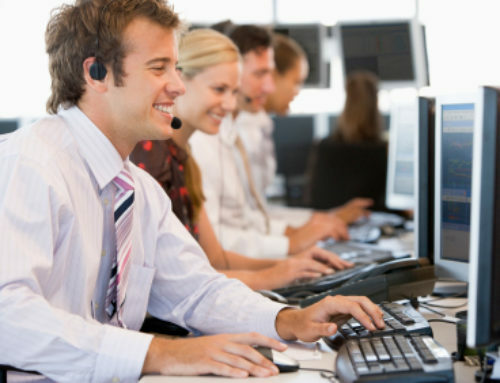 Reason being there might be more sales call reluctance and there could be time wasted trying to figure out what to do on the next call. 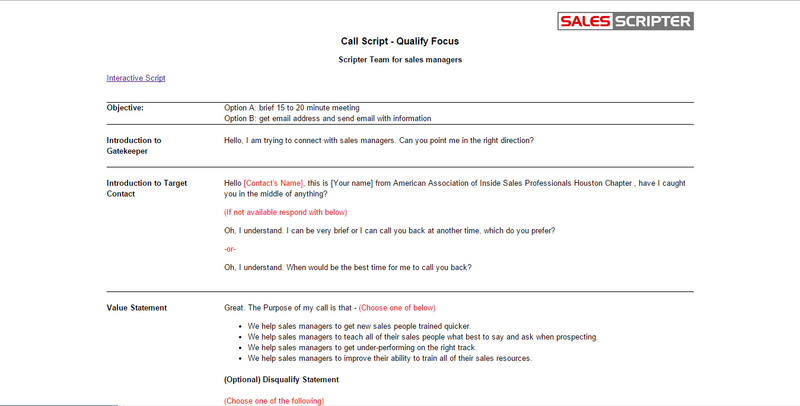 Reluctance and time spent figuring out what to do are decreased which boosts activity levels in terms of dials made and interactions with target prospects when using a guide for prospecting. It is realistic to believe that you’ll have longer conversations with prospects when you use some sort of prospecting guide. This is because you are more prepared, asking better questions, delivering key statements as needed, etc. You will improve your position and probability for better sales results by having longer conversations while sales prospecting. In conclusion, the end result is more leads will be generated. You’re more likely to easily see immediate improvements in lead generation while sounding better, having a better frame of mind, making more attempts and having longer conversations. 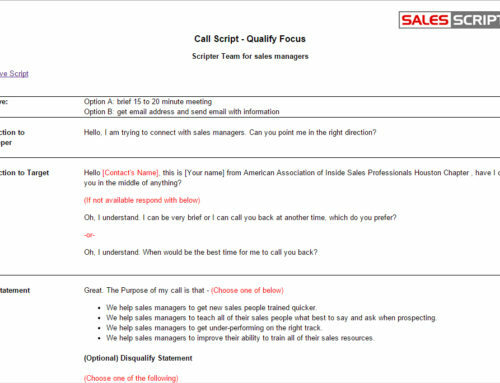 SalesScripter provides a sales script tool helping businesses to create a sales prospecting guide.